Knockout mice help find gene for bad breath (halitosis). Most cases of halitosis are due to poor oral hygiene, but some are caused by inherited conditions or diseases such as liver cirrhosis. Dutch researchers at Radboud University working with families with inherited bad breath identified a possible genetic cause. Using genetic “knockout” mice specially bred at the UC Davis Mouse Biology Program, they were able to show that people and mice with variations of the gene SELENBP1 had a buildup of high levels of sulfur-containing compounds in their blood. When blood reaches the lungs, these smelly sulfur compounds leave the blood and are exhaled in breath. Published in Nature Genetics. Artificial sugar linked to life threatening inflammation of the colon. In the last 15 years, the most common cause of hospital-acquired infections in developed countries, have been because of the the gram positive bacteria, Clostridium difficile. Two types of this bacteria in particular have been implicated, RT027 and RT078. Antibiotic resistance has been linked to the epidemic of infections, but does not explain the widespread prevalence. These researchers hypothesized that trehalose, a prevalently used artificial sweetener, may be implicated in this epidemic. To test this they worked with a mouse model of Clostridium difficile infection — and found that mortality was higher in the group consuming trehalose. Dr. Collins the lead researcher stated “An important contribution of this study is the realization that what we once considered a perfectly safe sugar for human consumption, can have unexpected consequences.” Published in Nature. Studying the effects of Prozac in a monkey model. Fluoxetine (Prozac) is widely used to treat depression, anxiety and other psychiatric disorders, including in children. But little is known about its side effects in pre-teens, because it is difficult to conduct clinical trials in young children. Rhesus macaque monkeys are a good model in which to study these drugs, because they have a relatively long period of development before becoming adults. 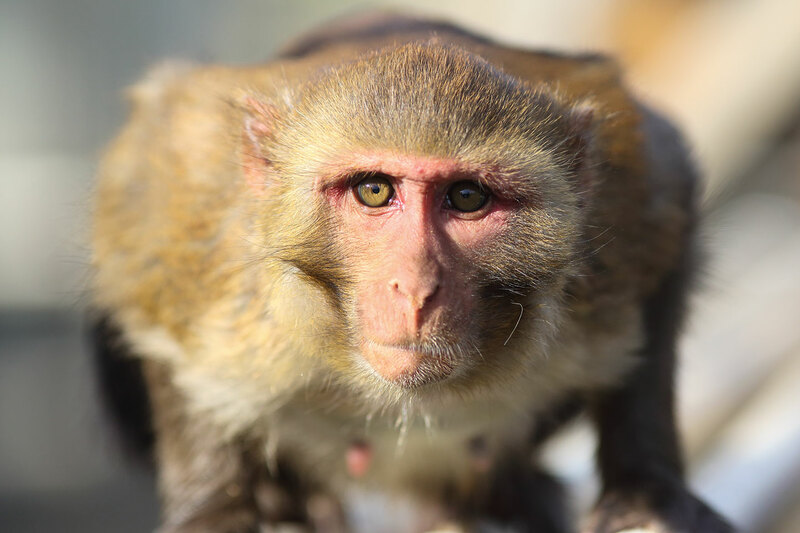 Mari Golub at the California National Primate Research Center has completed a long-term study of fluoxetine in young monkeys, providing data that could support further research in humans. For example, Golub’s team showed for the first time that variations in a gene (monoamine oxidase, MAOA) can influence the effects of the drug in monkeys, suggesting that some children might respond differently to the drug depending on their genetic background. The work is summarized in this feature article and podcast. 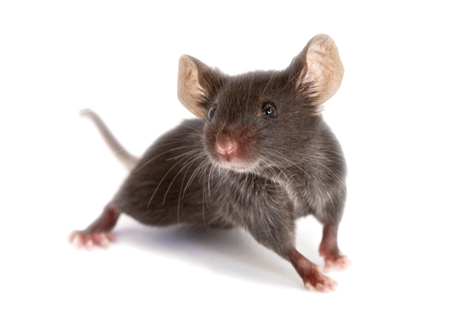 Mouse stem cells used to grow hairy skin. Most lab grown skin, contains only 5-6 types of cells compared to the 20 or more cell types that real skin contains. Additionally, lab grown sking is incapable of growing hair. In research that was originally begun to generate organoids that model the inner ear — these researchers using mouse pluripotent cells turned to coaxing these cells into generating hair follicles. They found that a single cell organoid forms a epidermis and a dermis permitting for hair follicles to grow as they would in the body. Dr. Koehler stated, “It could be potentially a superior model for testing drugs, or looking at things like the development of skin cancers, within an environment that’s more representative of the in vivo microenvironment. And it would allow us to limit the number of animals we use for research.” Published in Cell Reports. JAX launches Tallwood Canine Cancer Research Initiative to find the most effective predictors and treatments. Some breeds of dogs are more predisposed to certain types of cancers compared to others regardless of the environment that they are reared in, and thus, may be useful for understanding how cancer forms in both humans and other animals and to develop treatments. JAX hopes to “create a biobank of dog tumors that the nonprofit biomedical research institution plans to use and share with researchers around the world to provide new insights into cures for cancer.” To accomplish this, JAX will liaise with veterinary centers around the USA, so that owners whose dogs have been diagnosed with cancer and who are having them removed can opt to donate the tumor to the biobank. These tumors can then be used to, for example, create patient derived xenographs (PDXs). The initiative began last month with an anonymous donation of 500,000 USD and a donation of a healthy blood sample from the donor’s family dog, Patrick. Next Next post: Is the FDA undermining its own study and the experts it sent to review it?